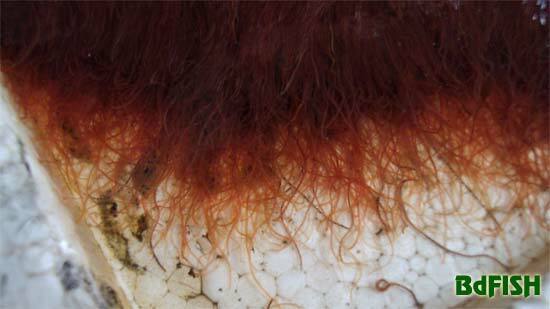 One of the most favorite foods for fishes, especially aquarium fishes is Tubifex. 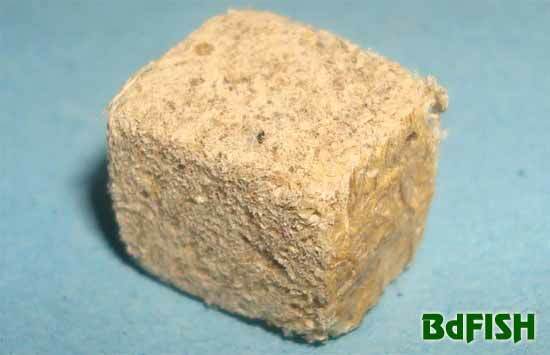 Now this item is available commercially in Bangladesh, in both fresh (living) and frozen forms. In some aquarium shops in Khulna city, living Tubifex is available for the aquarists. Frozen (freeze dried) Tubifex worms, for tropical fishes, koi and turtles, are available in commercial packet in some aquarium shops at Katabon market of Dhaka city. Retail price of a packet containing 10 g freeze-dried Tubifex is varied between 40 and 60 Taka depending on the shop. Whereas, living Tubifex were selling according to the demand of the aquarists. According to the retailers, these products are being importing from India. 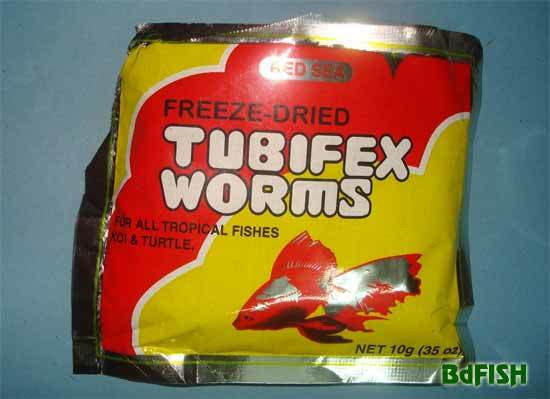 Freeze-dried Tubifex are available in the brand name of RED-SEA Freeze-Dried Tubifex Worms, manufactured by Insha Products, Bombay, India. my friend Captain Md. Shafiur Rahman for his data and photos. Visited 1,416 times, 1 visits today | Have any fisheries relevant question?